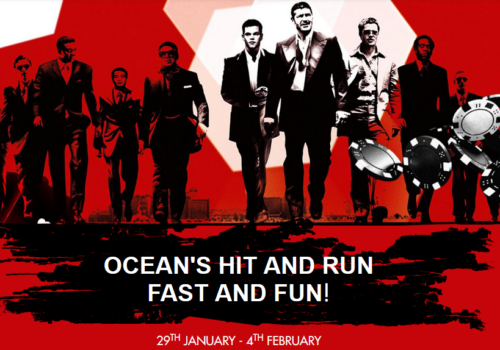 Oceans Eleven Casino Raffle At Black Diamond Casino!! $75 and for every $2 or more bet in one spin on the five selected games. You can get up to 5 raffle tickets per day for the big draw on February 5th! *Promotion period: Monday 29th of January to Sunday 4th of February 2018. *Player access is granted with a minimum deposit of $75 made during the promotion timeframe. *Players will receive 1 raffle ticket for every $2 or more bet in one spin on the selected slot games, up to 5 tickets per day. *The draw will take place on February 5th. *Casino reserves the right to decline a winner based on account activity, in this case the prize being awarded to the next player drawn.